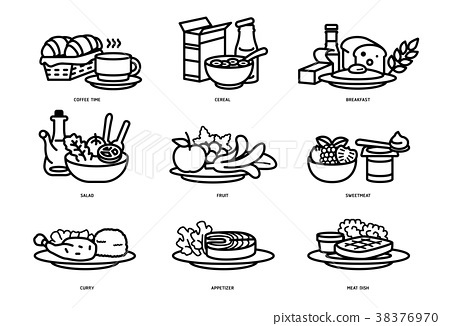 meals of who should eat in a day line flat icon. 图库插图: meals of who should eat in a day line flat icon. meals of people who should eat in a day line flat icon concept. Ideas for creating a nutritional description for daily food and consumer research.